A new watch company based in Singapore launches this week on Kickstarter aiming to insert the spirit of driving in a watch. Samuel Tay, the owner of Reverie, has offered to let us in into the design process and philosophy of this gearhead-oriented watch. I love cars, in particular classic cars with a fastback styling such as the Ferrari 365 Daytona or the Bugatti Atlantic. The GT is inspired by such automobiles and, cliché as it sounds, the spirit of driving. It is hard to describe this feeling in words. I wanted backers to experience it first hand and that was my brief to the film crew. The video had to capture the freedom and nostalgia of driving a classic sports car. The crew painstakingly shot the video over two nights (no stock footage in there!). We managed to find a beautiful 1970s Porsche Carrera Turbo to work with. For context, classic cars are incredibly rare in Singapore. Due to car ownership laws and taxes, cars here generally only have a 10-year life span before being scrapped / exported. We spent months sourcing around and finally found someone willing to loan us his classic. I still remember that feeling of awe when the car drove into the compound. That raucous exhaust note, outstanding blue paintwork, and menacing black rims – it was perfect. I cannot be happier with how the video turned out. It does an excellent job of conveying the spirit of driving and gives an insight into the inspiration of the GT collection. You can check out the video for yourself here. I can guarantee that it will be a minute and a half of your time well-spent. As for the GT’s specifications, let’s begin with the case. Reverie’s first two collections had cushion-shaped cases. I hence opted for a round case as a starting point for the GT. There are plenty of watches with round cases around so I had to do something special. I designed the lugs of the case to resemble the Bugatti Superatlantic’s tear drop-shaped fenders, which is just such a piece of art. 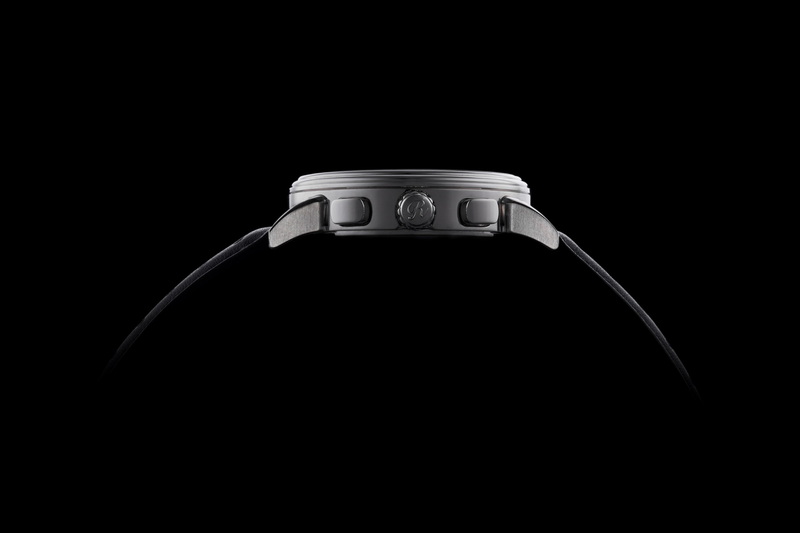 The contours of the fender are curved such that, on the GT, the lugs almost wrap around the wrist. It sure makes for a secure fit. To further enhance the design, I added a stepped bezel. The stepped bezel really adds drama to the profile of the case – it provides a visual frame and draws your eyes towards the dial. It took countless design adjustments to marry the elements but it came together delightfully in the end. In terms of dimensions, the case diameter is 40mm, lug-to-lug width is 20mm and the case height comes in at 11.6mm. I personally lean towards watches with restraint proportions and to me, 40mm strikes a good balance between being refined and being suitable for the modern wrist. The height of the case also allows it to slip under a shirt cuff with ease. We pride ourselves on the artistry and quality of our dials and that’s where I feel the GT really shines. The dial has three layers to create visual depth. The base layer has our signature guilloché effect, which for the GT, is evocative of a radiator grille. The paintwork is equally important as it really affects how a watch looks under different lighting conditions. If you own the Sea-Spirit or seen one in the metal, I’m sure you’ll notice how the dial almost sparkles, giving off various hues depending on your surroundings. We made sure to recreate that effect in the GT. You’ll have to see the GT in person to truly appreciate the way it shines with a flick of your wrist. The lume we used was also important to me. When done right, it almost seems like the watch is alive in the dark. We went for Superluminova lume, which is really the industry benchmark, for the GT’s hands and hour markers. To make things more interesting, we used two different colors, such that the hands emit a blue glow and the hour markers emit a green glow. It is incredibly easy to tell the time in the dark given the brightness of the lume and the contrasting colors. The VK64 had a slimmer profile as compared to the other options, allowing us to minimise the case thickness. We ultimately chose the VK64 movement as it offers the best of both worlds: Japanese time-keeping accuracy and elegant mechanical action. Another feature we thought about closely was the straps. A well-made strap really elevates a watch. In my mind, the leather had to be supple yet durable. Most importantly, it had to wear comfortably. Now, I can promise that the GT’s straps will be one of the most comfortable straps you will wear. They’re made of leather sourced from Italy are just the business. It’s a big claim but I stand behind it fully. 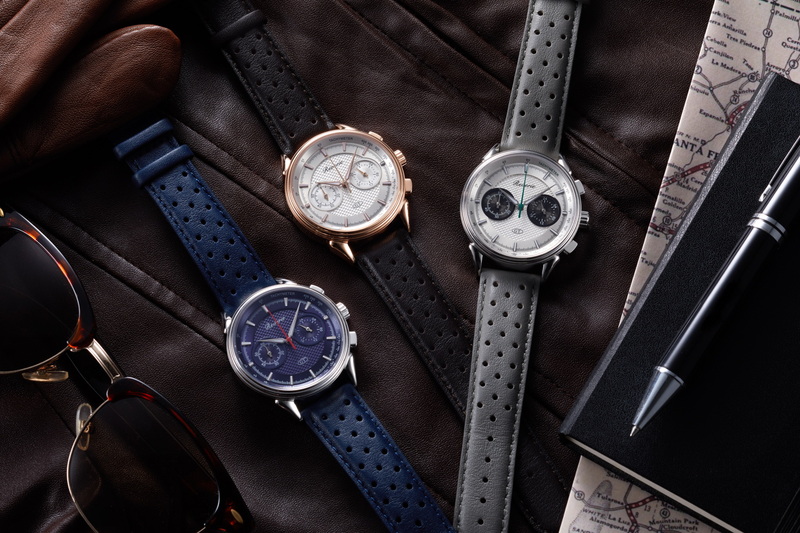 Each GT comes with 2 leather straps: the default strap is a perforated racing-inspired strap, and the second strap is a classic pebble-grain textured strap. Both straps have a spring mechanism which allows them to be swapped out without any tools (goodbye nasty lug scratches!). We also included a water-resistant lining on the undersides of the straps to maximize their life span. In terms of colours, we wanted each GT to have straps that are versatile for use in a myriad of occasions. We ensured this by providing 2 leather straps with each GT. 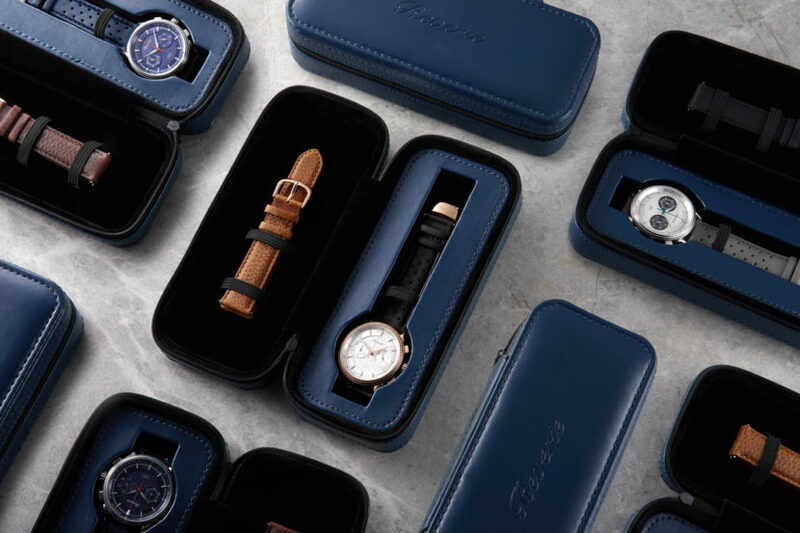 The ‘Mariana Blue’ GT comes with a royal navy perforated strap and a dark brown pebble-grained tang-buckle strap, the ‘Panda’ GT comes with a sharkskin grey perforated strap and a black pebble-grained tang-buckle strap, and the ‘Rose Gold’ GT comes with a dark brown perforated strap and a tan pebble-grained tang-buckle strap. 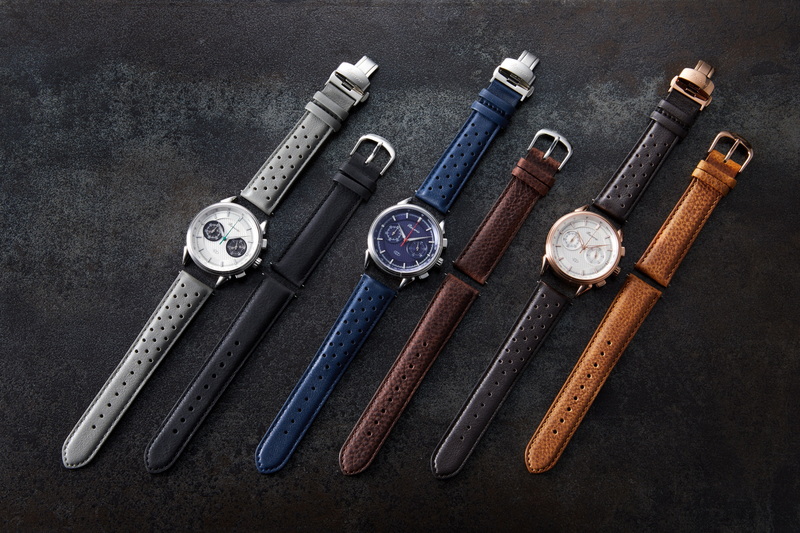 Each GT offers 2 very different looks depending on the strap you put on, which really adds to the value of the watch. A 1 year international repair warranty. I have attached photos of the case back and the travel case for your viewing pleasure below. If you’ve made it all the way to this section, it must be fair to say that you’re pretty interested in the watch. The GT is currently available for pre-order on Kickstarter and can be found here. 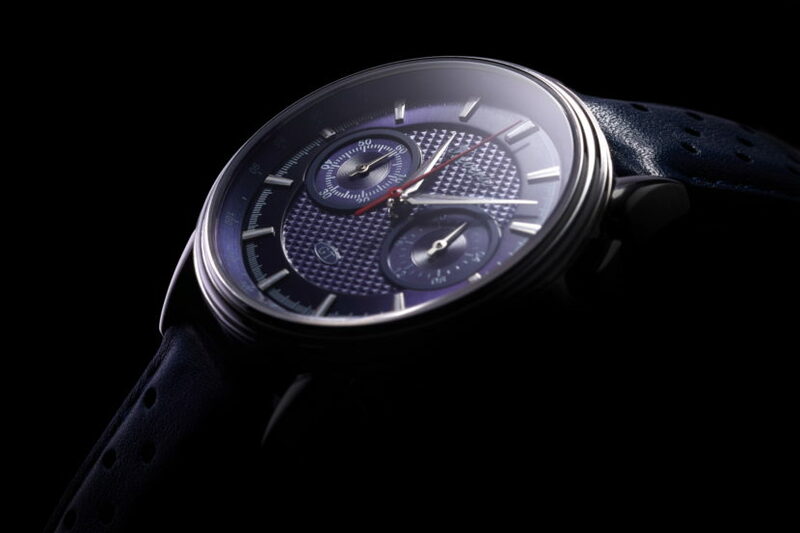 The GT comes at an early-bird price of approximately US$350 and will eventually retail at a price upwards of US$420. In exchange for your support, I can promise that prices for the GT will never be lower than the Kickstarter price. It must be pretty evident that I’m really proud of how the GT turned out. It’s an achingly beautiful watch (in my biased opinion!) and one which has monopolised my wrist-time lately. 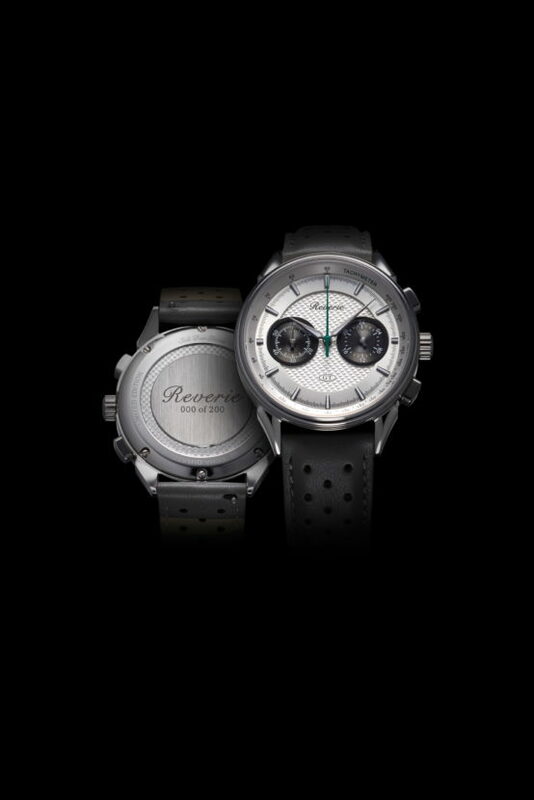 I’d love to hear your thoughts on the GT as well so feel free to drop me an email at reveriewatches@outlook.com and I will endeavour to reply as soon as I can.